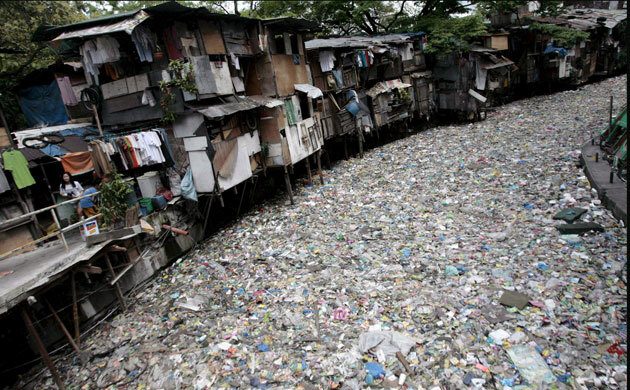 ← Should The Government Remove Factories Along Pasig River? Last May, the Pagasa Weather Bureau warned that the Philippines will start feeling the effects of La Niña by the third quarter of the year. It’s already August and true enough we are starting to see some heavy rainfall. La Niña is a coupled ocean-atmosphere phenomenon that is the counterpart of El Niño as part of the broader El Niño-Southern Oscillation climate pattern. During a period of La Niña, the sea surface temperature across the equatorial Eastern Central Pacific Ocean will be lower than normal by 3-5 degrees Celsius. In the United States, an episode of La Niña is defined as a period of at least 5 months of La Niña conditions. The name La Niña originates from Spanish, meaning “the girl”, analogous to El Niño meaning “the boy”. La Niña causes mostly the opposite effects of El Niño, for example, El Niño would cause a dry period in the Midwestern U.S., while La Niña would typically cause a wet period in this area. In layman’s terms, La Niña simple means lots of rain. Some of us may automatically think this is a good thing especially considering our recent bout with drought and water shortages. The truth is La Niña poses a lot of risks especially for the Philippines. It hasn’t been a year yet so the devastation caused by Tropical Storm Ondoy should still be fresh in our minds. Fortunately, we can minimize the risks. We need only be more pro-active and start cleaning up our act. By now we should already be preparing for the usual risks associated with heavy rains. Cleaning up our waterways should be a top priority. But even before that we should resolve to keep our garbage from ending up in our sewers, creeks and other tributaries. Perhaps there’s nothing more we can do about how people living along esteros dispose of their garbage. We can only hope the government would exercise its authority and educate these people and force them to clean up their immediate environment. For those of us who can afford to surf the internet and enjoy Facebook with a double shot espresso, maybe it would be a good idea to start making some noise about proper waste disposal. I propose an information campaign on the dangers of improper waste disposal. For simplicity’s sake, let’s anchor this campaign on one of the most common waste products found in clogged sewers and creeks: the seemingly harmless shampoo sachet. I’m a first-time blogger so I’m not sure how campaigns like this should be promoted. In case you do and you think this is worth pursuing, just tell your friends about it and if it’s not much trouble grab this gif file and post it on your own site. Your help is appreciated. For other ideas on how we can prepare ourselves for the possibility of another Ondoy, go to this site. This entry was posted in Solutions, Uncategorized and tagged clogged creek, estero, la nina, ondoy, Sachet Mo Tago Mo, sewerage system, shampoo sachet, waste disposal, water shortage. Bookmark the permalink. education,proper relocation of people living on that river bank together w/ the factories should be done.BUT who will start & who will do this.Squatter relocation can be done becouse they worth nothing to society,how about this factories,refinaries,will PNoy do fast & efficient action on this serious subject for better PHILLIPPINES!!! i think the government should take the lead and if possible require those companies responsible for much of the garbage that ends up in our waterways too shoulder a big part of the cost. Make them pay for it. The informal settlers and factories should all be removed.